Plans for US studios to offer new-release movies on-demand just weeks after their theatrical releases have been met with stern disapproval from American cinema owners. Some are even threatening to ban blockbusters from their cinemas because the imminent home availability of new releases will reduce the number of people schlepping to the cinema to see them. Traditionally, cinemas in the US have had a four-month window of exclusivity before movies are released on Blu-ray, DVD or online - in the UK its generally around 90 days. But now four major film studios have joined the scheme – Universal, Sony, Warner Bros and Fox – which will see movies available to rent online two months after hitting the silver screen. 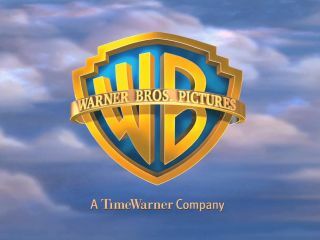 The thinking behind the on-demand plans is no doubt to reduce the impact of piracy and harness digital distribution methods, which studios like Warner Bros and Paramount have been grappling with for some time. The National Association of Theatre Owners (Nato – no, not that Nato) is pretty annoyed, however, telling the FT that some cinemas are set to boycott blockbusters made by studios participating in the VoD plan. This could mean big-hitters like Harry Potter and the Deathly Hallows Part 2 (catchy) and X-Men First Class may not make it to many cinemas in the US this summer. Nato's CEO, John Fithian, also said that two major chains, Regal and Cinemark, are already taking action – films made by studios involved are already receiving less promotion than those made by others. While the VoD plans are currently set for the US only, if the studios judge it to be successful there's a chance we'll see it take off in the UK as well. But if cinemas ban the studios' big budget blockbusters altogether, perhaps the VoD plan is doomed before it has even begun. TechRadar has contacted all the major cinema chains in the UK to see what they think about the proposed plans.